Manifest DaFruits of Your power oh Lord! I absolutely love today’s scripture! At the mention of the name of the most High every knee must bow and every tongue must confess that He is the covenant keeping God, He is Lord, and there is no one like Him! This Word showcases the awesome wonders of the presence of The Lord! Absolutely no one nothing can compare to His majesty. The scripture that I have shared today just proves how great the measure is of His royalty, He truly is everything. I cannot wait for The Lord to manifest His power in our very day and age! I cannot wait for those who mocked God to witness the glory of The Lord, now before His throne and sing nothing but His praises! Oh Lord manifest DaFruits of your power! Let the world know that You are Lord just like you did in the days of Elijah. Strengthen us Oh Lord to proclaim Your truth and overcome the challenges of the enemy. Let Your throne oh Lord be established upon this earth. Cast away the false gods of this earth Oh Lord and destroy them with Your fire! Let the world know Lord that You reign in all the earth that You reign in majesty. Hear my cry oh Lord as You did Elijah and attend unto my prayer! Let Your truth be revealed! Your children are being deceived by the media, false prophets, foolish idols and gods of this world oh Lord manifest Your power! Manifest DaFruits of Your fire, of Your love, of Your rain, and purify us oh Lord. Why would the world choose to reject a loving and forgiving God? Christians its time to stop with the lukewarmness! I used to play games with The Lord, and I ended up only losing and hurting myself. Reject Him today and He will reject you on judgement day. It’s really as simple as that, and I know it sounds harsh but that’s the truth. We live, we die, and that is not it we will have a God to answer to. Why would you want to live a life to die? God does not want that for His children He wants eternity for you and I. The world wants to just live and die what a pointless and hopeless life, only to end up in hell? God does not want that for anyone! We are in the days of sugar coating. Pastors sugar coating, loved ones sugarcoating the truth, sugarcoating the gospel. We are in the days where we want to reach the mainstream so much so that we are watering down the gospel? We want to reach the mainstream to share the gospel yet we water it down??? Impossible. Only God has the power to convict so you go and do what The Lord has called you to do without the need to feel to water down anything. The disciples did not water down the gospel when The Lord sent them to go and preach just to reach the mainstream, no! Enough of the compromising children of God! Enough of the oh sinning is ok. No sin is sin. Evil is evil. Enough of the oh it’s ok to do this and to do that. Forever the word of God is settled no matter what man says! Are you angry with what is going on in the world today or you just don’t care? Parents think it’s ok to let their children dance and listen to Beyonce? I was so silly lol how can you thank God and blaspheme Him in your music, and be a Christian? I used to be so foolish when secular artists said “I’d like to thank God” I thought well they must be Christians then. Oh only God can judge me! Oh yes only God can judge you and believe me His judgement is the harshest of all! His Word has taught me that! How can you not fear The Lord? How can you mock Him after He sacrificed His only son for our sins? Do not be deceived children of God, do not be deceived by the world. We must watch and pray for the kingdom of God is at hand! I’m not trying to scare you, I’m just telling you the truth. 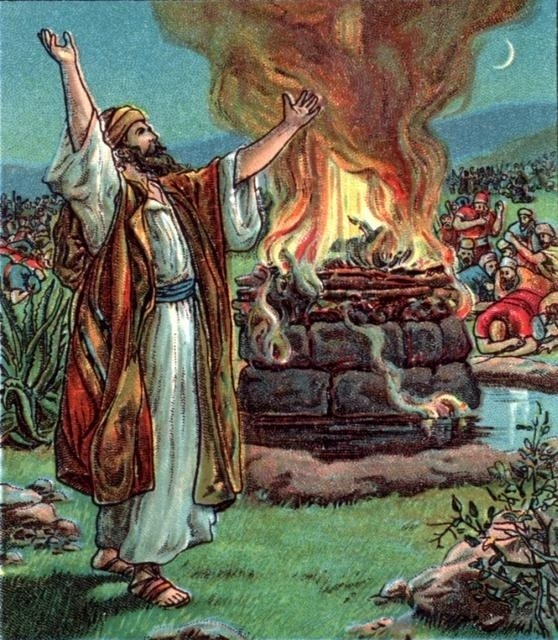 I want The Lord to manifest His power like the days of Elijah. People can make fun of me all they want like I have been for proclaiming the truth I don’t care, but I do care when they blaspheme my saviour! It hurts I get so angry, I want to argue I want to curse, I want to tell them how foolish they are, but God being so perfect being such a loving God reminds me of His love, He calms me down, and instead of responding in hate He has taught me to respond in love. The world needs rebuking, I need rebuking, the children of God needs rebuking, the church needs rebuking! We must stand for righteousness. I really don’t want to be left behind on this evil earth when Jesus comes! No way! Why are you angry at a God who loves you?! Repent! Repent! Repent! Hell is not a happy place. Hell is an everlasting lake of fire. There is no purpose, no hope, no escape. Just eternal burning! Go on YouTube God has revealed hell to so many people to save us from that place. He loved us so much He doesn’t want us to go there. Yet people are still rejecting Him and this makes His heart weep. This gets me frustrated and angry. People that seem good to me so lovely, lived what seems to me to be a good life could end up in hell because they rejected Christ. It’s time to not only pray for self but to pray for others also! Not all my family are saved, not all my friends are saved. I was lukewarm for a long time, loving God but still giving into the flesh. For a long time I was playing games with God! If it wasn’t for God for His love for His grace who knows where I would be. Yes I deserve hell we all do but because of His love. Because of His grace, He is just and ready to forgive those that repent. Do not reject His love. That’s why I say why would people reject a loving God? When The Lord sends you to go and share His Word, go in the name of The Lord and not in the name of self. And these are the days of Your servant Moses, Righteousness being restored. Still we are the voice in the desert crying prepare ye the way of the Lord! Say, behold He comes, riding on the clouds! Shining like the sun at the trumpet’s call! Send forth Your power oh Lord our God in these evil last days.